Upon arrival at Aqaba Port, Enjoy Aqaba Shore Excursions, get ready to start your unforgettable tour to Wadi Rum and enjoy its uniquely shaped massive mountain as well as the massive space of red sand and the colorful steep slopes. 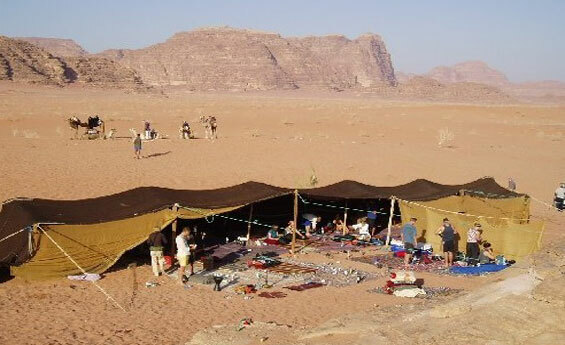 Shaspo Tours representative will pick you up from Aqaba port, transfer by air-conditioned modern van to Wadi Rum, it takes approx. 40 minutes to arrive to Wadi Rum, enjoy the wild desert landscape, the British liaison officer Lawrence of Arabia was fascinated by Wadi Rum, and he described as "vast, echoing and god-like", We believe he could not have said it better, start Wadi Rum Tour by jeep 4x4, watch the Lawrence’s spring, passing by the majestic mountains, explore a gorge including some ancient rock drawings, enjoy some free time, Horses and Camels are available once you are inside the desert, at the end of your tour drive back to your van by jeep 4x4, Finally transfer back to Aqaba port to catch your cruise ship.